Product Design and its Impact on Supply Chain Optimization | Business Article | MBA Skool-Study.Learn.Share. What is product design in context to supply chain? Product design for supply chain management stands for product conceptualizing and building from its components which result in the prosperous and optimized supply chain architecture. Simply "giving customers what they want", while fundamental to customer satisfaction, is rarely enough.The main goal of the manufacturers is to provide customers with the required product in a price and resource effective manner with any compromise on quality/service. The other process improvement strategies like postponement, mass customization, re-sequencing production operations and shifting the push–pull points, the above mentioned design methodologies can be applied in integration so as to result in significantly improved supply chain performance. Case1:Let us take an example of an automobile manufacturer who had designed separate engine wiring harnesses (connecting wires between electrical components and system) for each of its numerous combinations. 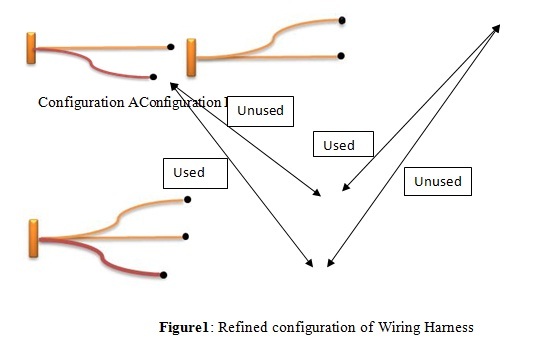 The problem lies in the requirement of different number of connections, different lengths of wires by individual combination. So in order to reduce the cost (function of unit material required) and enhance the supply chain the need is to reduce the inventory as maintaining inventories of all these separate wiring harnesses was difficult, and during production, lack of the correct wiring harness could create serious difficulties on the factory floor. Thus the solution lies in the proper product designing wherein existing harnesses be consolidated into about a dozen distinct harnesses, each designed to satisfy multiple engine/transmission combinations. The refined designs have some "excess copper wire" and some unused connectors present as the use has widened now with harnesses being employed for more than one since engine/transmission combination. This is an example of commonality wherein a group of items were redesigned so that a single SKU could satisfy the requirements for any of the original items. Platform commonality, standardization and design reuse plays an important role for efficient supply chain using product design. Consider a product platform architecture which can be used for common design or component/product standardization. It must have hierarchy of functional components that defines an allowable set of product options, and facilitates innovation and change within a particular product feature while protecting the integrity of the platform design. Also it must help manufacturers to simplify the bill of materials (BOM) and facilitate component standardization and reuse. Integrate cost information in the product hierarchy so that design engineers can build product with cost and time constraints. Further Design Engineers can evaluate the impact of design changes on various product design costs and allocate target costs to major building block components. Case 2: In 2003, John Deere launched an initiative to standardize the steel used in its product line. Standardizing steel grades and thickness significantly reduced cost for steel. This standardization further helped John Deere to avoid production shutdown in the face of dramatic demand increase for specialty steel next year. a) Industry standard parts allow suppliers to pool demand across industry rather than relying on forecasted demand for unique demand. b) Use industry standard parts wherever possible unless the use of unique part has specific value add. c) Cost can be minimized by not having to plan and unique high-value OEM inventories. This planning should be done in the product design stage itself. The benefits of implementing product design strategies are manifold. It improves supply chain network, and also occurs at product’s EOL when rollover of a product or product’s roll takes place with the replacement of an existing product with a new one. To exemplify, an Indian manufacturer can sell similar product in different geographies with varied configurations but as the demand is always uncertain and forecast error could not be ignored the typical ideal product roll-over never happens as desired with the end of one product trigger the launch of another one. 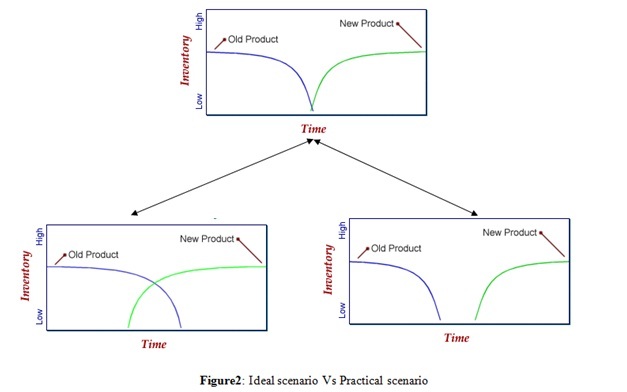 The ideal situation never happens and in practicality either the manufacturers suffer with EOL product stock-out or left with its excess inventory and this is where product design strategy of postponement comes into play and the companies can use the reusable components for the new product launches. The above factors not only affect the sale cost but also the cycle cost of the product which can be up to 75% of ownership cost. The design is a source of differentiation and has a strong influence on supply chain cost and risk because of parameters like global sourcing, offshoring, product complexity, process complexity and outsourced design. An example that should not be left is of Boeing 787 which is late on schedule by 3 years as well as on budget. This failure is attributed partially to poor design which involved sourcing from best OEMs across the globe which causes higher cost and increased risk of supply chain. The design of the product should be such that in the event of shortage of critical components, alternate components should be available to take care of the lead times. Engineering changes in the future should be also evaluated for their impact on supply chain.The product design must also consider forward and backward compatibility not just from customer point of view, but also for various component parts in supply chain. Product design team (PDT) must also consider the inventory carrying costs and obsolescence risk. Carrying costs can be reduced when the product has quick build to ship times and favors a make to order as opposed to make to stock supply chain model. Also designing to maximize the velocity of part s movement in the supply chain will reduce inventory as well as carrying costs. Obsolescence risk can be minimized by reducing lead times and easily reconfigurable components. The PDTs should configure product components for reuse into the next product transition so that obsolescence does not occur. The Product design should be such that it minimizes warranty/service costs. These costs can be reduced by a reliable, high quality product with easy to diagnose faults and customer replaceable parts that have high warranty redemption value. The parts which have high defect rate should be stocked for service and warranty. This would reduce expenses and improve service levels. b) Market requirements such as volume, complexity and customization. c) How the cycle time and inventory targets can be achieved. e) Also managing the product design process needs to be collaborative between manufacturer and suppliers, through an integrative design processes. This will help manufacturer in managing product cost, quality, speed time, etc. for supply chain optimization. This is an important aspect of close loop product design and sourcing. Case 3: Soft drink can is a quintessential example of how product design can be used to drive supply chain optimization. Manufacturers switched from cone top to flat top can which made cans much easier to stack, transport and store in shelves resulting in good cost savings for the companies. Inability to control quality and costs. lack of skilled workers, etc. Labour risk like work overtime, salary demands, insufficient trained workers, etc. Structural risk like target conflicts, less collaboration, etc. Labour laws, Import/export restriction, industry regulations, copyright and intelligent property, etc. Case 4: Marks and Spencer’s (M&S) began its revival in clothing industry by adopting product design led risk management to manage its supply chain. M&S developed a formal systematic structure to manage supply chain risk followed by making in-house product design central to the company’s ability to manage risk. M&S gained significant benefits by developing close relationship with their suppliers and sourcing its clothing on global basis to regain competitiveness.